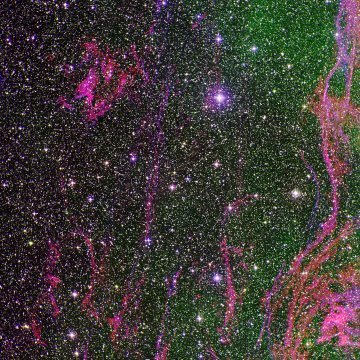 This is the Cygnus Loop supernova remnant, also known as the radio source W78. A small part of this huge 10 thousand year old object is displayed in the image. You can see an image of the entire object in hydrogen-alpha here and in x-rays here.